We all know about Konami, they have been with us through our entire lives, or at least for most of us. They created some of our favourite games when we were children, teens and now develop gambling software when we are adults. Note that they still make games for PS4 and Nintendo, so your kids also have something to enjoy. 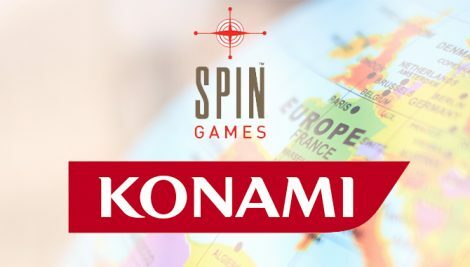 Konami Gaming has decided to enhance its presence in the European market, as an American casino games supplier and signed a contract with Spin Games. This agreement will help Spin Games gain the exclusive right to distribute Konami’s new content to the approved operators throughout Europe. The companies have already created a working relationship, through which the gaming content of Konami is provided through the Spin ROCTM. Moreover, Spin Games will keep using the remote gaming server to deliver content. Yugi Taniguchi, Konami’s Senior Vice-president as well as Chief Strategy and games product, stated that since their collaboration with Spin Games started back in 2015, they have realised a strong success as well as technical performance standards for the gaming operators who are looking to bring Konami’s game titles to online customers. Kent Young, Spin Games’ CEO added that they are delighted to expand their current partnership with Konami as well as enhance their footprint in the European gambling market. They will continue to work hard with Konami to make sure that their customers’ expectations will be met and even exceeded.